Cristomar uses a fresh-water cleaning process that removes deep-down dirt without damaging the dyes or fibers. With the only North Atlanta in-plant heated dry room, each rug is dried quickly! Our specialists inspect each rug, and can identify problem areas, recommend and perform repairs to edge binding and fringe, as well as reweave damaged areas and holes. Your rugs are the basis for your home's décor: they anchor a room, define the theme, create the color palette and bind generations; as many rugs are priceless family heirlooms. Like any piece of art, special care must be taken to preserve the color, quality, and appeal of your rugs. Unlike mass-produced commercial floor coverings, fine rugs are created using natural fibers and are often hand-crafted, one-of-a-kind works of art. 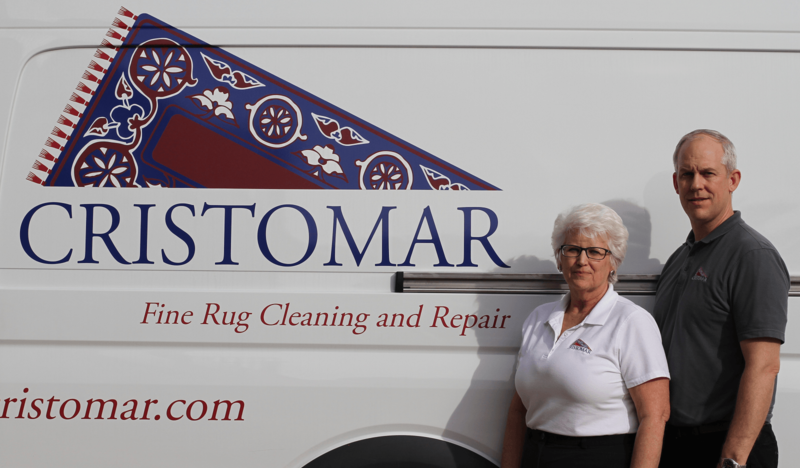 The process of rug cleaning, repair and maintenance is a specialty which the experts at Cristomar practice every day in our Alpharetta, GA, facility. 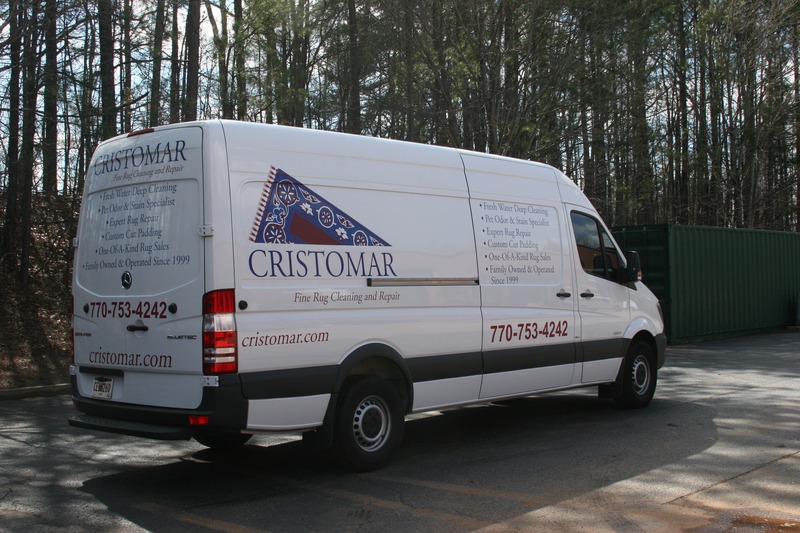 For your convenience, Cristomar will come to your home or business to pick up your Antique, Oriental, Persian or any type of Area Rug. 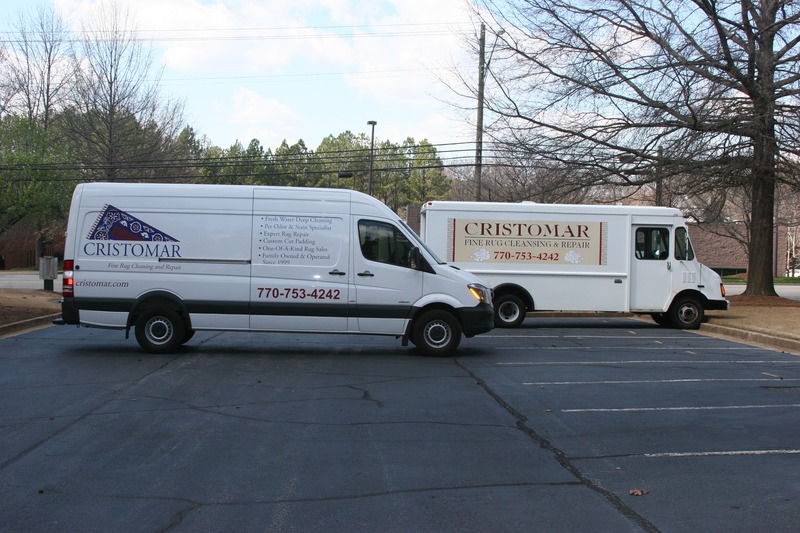 Cristomar services the metro Atlanta area from our facility located in Alpharetta, Georgia.